Omasi Uchibori, the revered ex-master distiller behind Japan’s cult whisky distillery Karuizawa, showcased four valuable gems from the now closed distillery in Hong Kong, ahead of Bonhams’ upcoming auction next month. 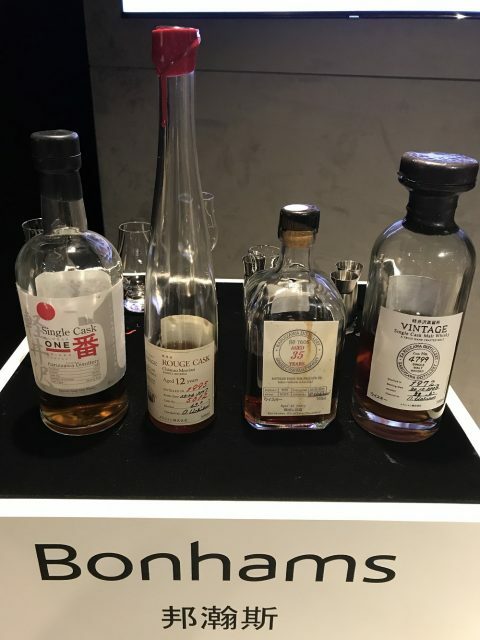 The dignified maestro pulled out four rare whiskies from his personal collection for media and key collectors at a guided tasting at Bonhams’ office yesterday, ahead of Bonhams’ upcoming Fine & Rare Wine and Whisky Auction on 16 November. The auction, expected to be Bonhams’ biggest sale in Hong Kong, will offer the largest selection of Japanese whisky with over 70 bottles from the closed distillery Karuizawa, in addition to a further 50 bottles of single cask Yamazaki and a selection from the highly sought after Hanyu Card series. Kicking off this private tasting was a bottle of Karuizawa Rouge Cask distilled in 1995 and bottled in 2007. At 63% abv, the whisky was aged for 12 years in Chateau Mercian’s red wine barrels, an unusual given that at the time Sherry cask, chestnut cask or Japanese Mizanara casks were the norm. 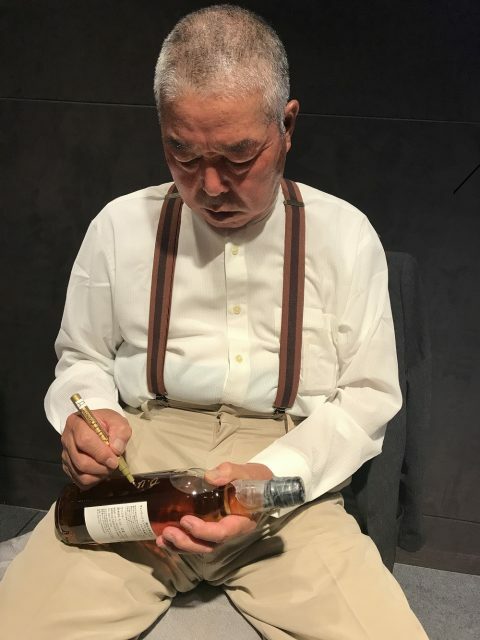 Speaking of the experiment Uchibori, who worked at Karuizawa for four decades and was named its master distiller in 1980s, explained that the idea is to see if a wine barrel could add more colour intensity to a whisky. The result showed that a red wine barrel did lend more intensity to the finished dram. He also experimented with a white wine barrel, but the result was less satisfying, he admitted. Only 200 bottles of this whisky were ever produced, however there are other bottles from the Rouge Cask series that were bottled in 2008, 2009, 2010 and 2011. Second in the flight was Karuizawa 1976 35 Year Old in a square-shaped bottle, which was commissioned by a Japanese singer who cancelled the order at the last minute, so he ended up with the whole batch. Lastly, Uchibori introduced the Karuizawa 1972 and Karuizawa Single Cask 1989 in Sherry butts, he added the mountain water sourced from Mount Asama, a volcanic mountain in Honshū, which is crucial for the quality of the distillery’s whiskies. Now, the retired master distiller is investing much of his interest on another hobby of his – brewing beer using whisky casks. Karuizawa was founded in 1955, but was sold by Chateau Mercian to Kirin in 2006.